Click here to see workshop photos from a spring course. Timber framing is an ancient building style that utilizes large timbers and handcrafted joinery to create beautiful and inviting homes. 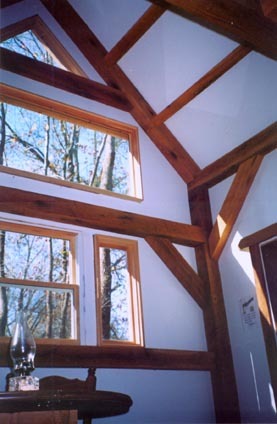 Grand Oaks Timber Framing can custom design and build a timber frame that is unique for your situation. We can also build from standard plans available that will fit most any size timber frame that you are wanting. 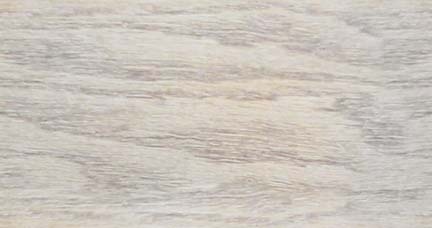 We generally work with strong oak timbers, but we can build with other species of wood, such as white pine, cypress, yellow pine, douglas fir. 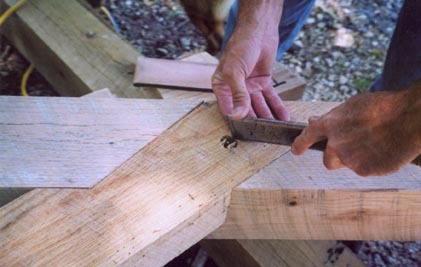 The process of building a timber frame is an important element in the craft. 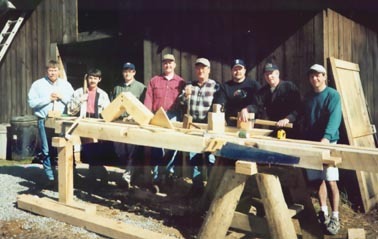 At Grand Oaks Timber Framing all of the timbers in the frame are connected with traditional joinery. No short cuts are taken in the cutting of our frames. 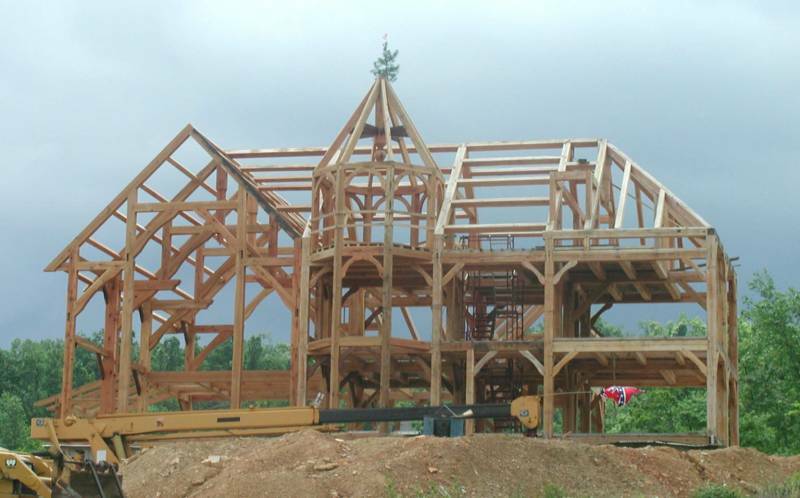 If you have plans in your future for a timber frame home, barn, office, hybrid building or whatever dream you might have, contact us and let us help you get started! 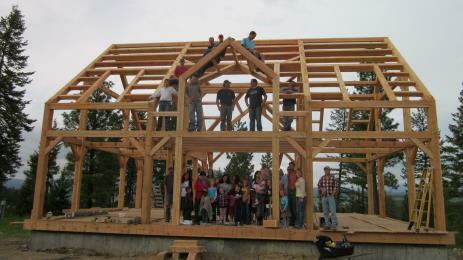 Click here to see timber frames built by students of past workshops. Click here to see workshop photos from a fall course. The comfort and beauty of a timber frame home is worth the extra effort! 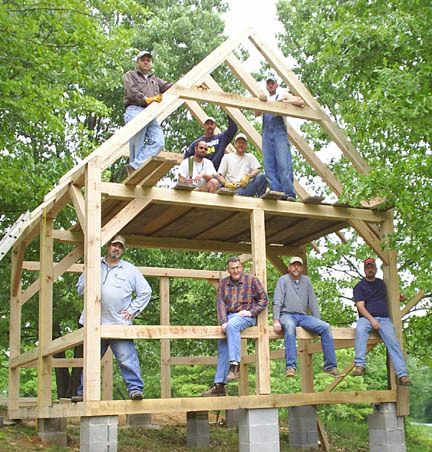 Timber frames are built to last for generations! For every house is built by someone, but ALL things are built by GOD. Make it your ambition to lead a quiet life, to do your own business and to work with your hands, as we commanded you, so that your daily life will win the respect of outsiders and so that you will not be dependent on anyone. Jesus said, "If anyone is ashamed of me and My words, the Son of Man will be ashamed of him when He comes in his glory and in the glory of the Father and of the holy angels.